What is Restylane® & Perlane®? Deborah H. Atkin, M.D., our board-certified dermatologist, can skillfully reduce signs of aging and restore fullness to your facial features with Restylane® or Perlane®. Restylane® and Perlane® are considered safe and natural cosmetic dermal fillers that instantly restore volume and fullness to the skin to improve the appearance of facial wrinkles and folds. Restylane® and Perlane® are two of the few cosmetic dermal fillers made of hyaluronic acid, a natural substance that already exists in the human body. This virtually eliminates any risk of an allergic reaction. Unlike BOTOX® Cosmetic or Dysport®, Restylane® and its sister product Perlane® do not relax underlying muscles. Rather, their plumping effects will enhance volume and add a smoother, more youthful appearance that lasts up to six to twelve months, or even longer. Get a more comfortable lift with Restylane-L or Restylane® Lyft! If you are concerned about the potential discomfort of your treatment, we suggest using Restylane-L or Restylane® Lyft. These products contain lidocaine, a numbing agent, to reduce any discomfort before and after your treatment. Did You Know?Restylane® and Perlane® can also be used to enhance the volume in your lips, provide a subtle lift in the cheeks and fill under-eye circles. The latest additions to the Restylane® family of products, Refyne and Defyne are hyaluronic acid-based fillers that use XpresHAn® technology to rejuvenate the face with long-lasting and natural-looking results. Restylane® Refyne is FDA-approved to soften smile lines (also called parentheses) and lines that run from the corner of the mouth to the chin (also called marionette lines). Additionally, Refyne can be used to augment the lips for a fuller, more youthful appearance. The gel composition of the filler is thicker but also more flexible, allowing patients to make facial expressions easily without signs of treatment. Refyne offers instantaneous results and is intended for individuals age 21 years and above. The effects usually last about one year. Restylane® Defyne works a lot like Refyne, but this substance is made for moderate to severe wrinkles around the mouth. Deeper, more dramatic rejuvenation can be achieved almost immediately while maintaining a natural-looking outcome. Defyne is also FDA-approved for patients 21 and older and offers benefits for approximately one year. As with Refyne and other Restylane® products, downtime is minimal and most patients can return to normal activity immediately after treatment. If you love your results, occasional maintenance sessions can extend the length of Refyne and Defyne’s benefits. You should expect slight swelling at the injection area. Slight bruising may also occur temporarily. Final result is almost immediate. Although any discomfort during treatment is minimal, a topical numbing agent can be used 30 minutes prior to treatment to alleviate any discomfort. Length of Time for Procedure – Restylane® and Perlane® injections can be completed in as little as 15 – 30 minutes. Who Will Perform This Procedure? 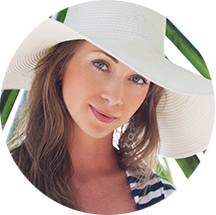 – All injectables are performed by Deborah H. Atkin, M.D., board certified dermatologist. What is the Recovery Time? There is very minimal to no downtime. Temporary slight bruising or swelling can occur. Supplements are available to help prevent and minimize any swelling or bruising. Final Results of the Procedure – You can expect to see immediate results from Restylane and Perlane®. Other Treatments or Skincare Products that May Improve My Result? If you opt for treatment with Restylane® or Perlane®, you may also benefit from using skin care products like SkinMedica’s TNS Essential Serum and IPL (photofacial) therapy to brighten up the skin! Do you have additional questions? 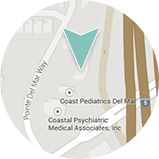 Contact us to schedule a consultation with Deborah H. Atkin, M.D. Smoker’s lines, thinning lips, and shape loss are just a few common signs of aging that can develop around the mouth. Fortunately, there is a brand new, FDA-approved dermal filler specifically designed to address these areas of concern: Restylane® Silk. Developed by the same company that created Restylane® and Perlane®, Restylane® Silk is intended to subtly enhance the lips while reducing the appearance of fine lines above the mouth, often with very natural-looking results. In clinical studies, the unique formula comprised of a hyaluronic acid-based particle gel produced fast-acting, long-lasting results, often up to six months or more. If you’re seeking a fuller, more youthful appearance to the lips and mouth, Restylane® Silk may be right for you. Deborah H. Atkin, M.D., our experienced dermatologist, can determine if you’re a qualified candidate. During your initial consultation, we will discuss your areas of concern and develop a customized treatment plan that can best achieve your cosmetic goals. Using an ultrafine needle for enhanced precision, injections will be placed into the lips and fine lines around the upper mouth over the course of two sessions scheduled approximately two weeks apart. The smooth formula, made from a naturally occurring substance, is specially designed to enhance accuracy and produce the softest, most natural results possible. Furthermore, the dermal filler includes a local anesthetic to help minimize discomfort during treatment. Your overall experience is our highest priority, and we can offer supplementary options to further enhance your comfort if requested. Restylane® Silk offers both immediate and gradual results that occur over the course of treatment. Improvement is often long-lasting as well, with benefits continuing up to six months or more, though individual experience will vary. Side effects are usually minimal, and they may include temporary swelling, redness, or mild bruising in the treated area. These responses should fade quickly. Restylane® Silk should only be used if you’re over the age of 21. Length of Time for Procedure? Restylane® Silk injections require two treatment sessions spaced approximately two weeks apart. Each procedure typically takes about 30 minutes, though this time may vary. Who Will Perform This Procedure? Our board-certified dermatologist performs all injectable treatments. What is the Recovery Time? There is little to no downtime associated with this treatment, though some mild redness, swelling, and bruising may occur at the injection sites. You should be able to return to normal activity immediately following the procedure. Final Results of the Procedure – In most cases, the benefits are immediately noticeable with additional improvement during the second session. Other treatments or Skincare Products that May Improve My Result? There are a number of dermal fillers and cosmetic injectables available that can provide more comprehensive facial rejuvenation, including Restylane®, Dysport® and Fraxel Laser Skin Resurfacing. Skincare products such as TNS Essential Serum and Retinol Complex can assist in stimulating collagen and help you to achieve and maintain firmer, more youthful skin. Begin with registration, sign up with Aspire today! If you would like to know more about Restylane® or Restylane® Silk, or if you wish to schedule a consultation with Dr. Atkin, please contact us or call 858.350.7546 today.